The young artists completed a week of work experience at the Palace, run by Arts charity, The Creative Dimension Trust. This summer, students from The Creative Dimension Trust are helping restore design features in the state rooms of Buckingham Palace. 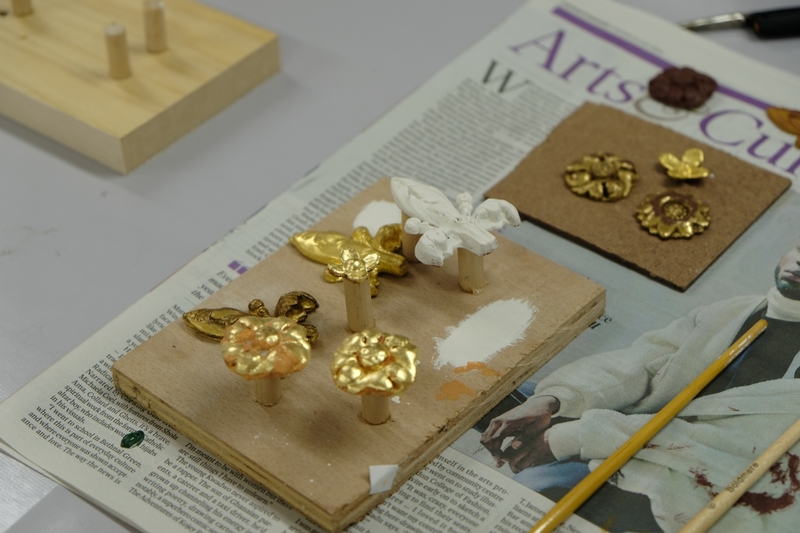 For the past three years, The Creative Dimension Trust has organised Craft Workshops at Buckingham Palace for young people – giving them an opportunity to learn about handcraft techniques and pursue a career in the Arts or design. The repairs are being carried out because the glue used to instal the original flowers in the Ballroom of Buckingham Palace during Queen Victoria's reign has since become brittle and caused them to become loose. 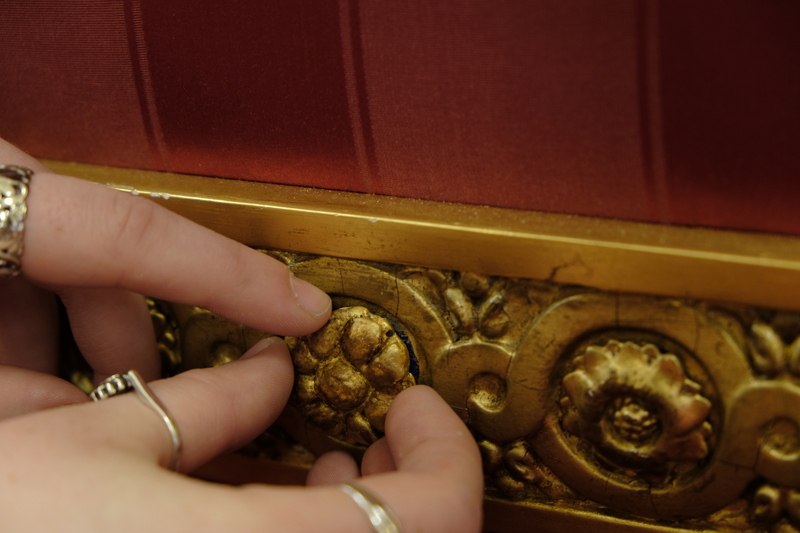 Students worked with Historic Interiors Conservators at The Royal Household to replicate two design features from the interiors of the State Apartments. This included a fleur-de-lie and decorative carved flower designs on the front of banquette seating in the Ballroom. Students were shown traditional methods as well as using some of the modern machinery inside the workshop. They will take a selection of the prototypes with them when they leave this week to keep for their portfolio. 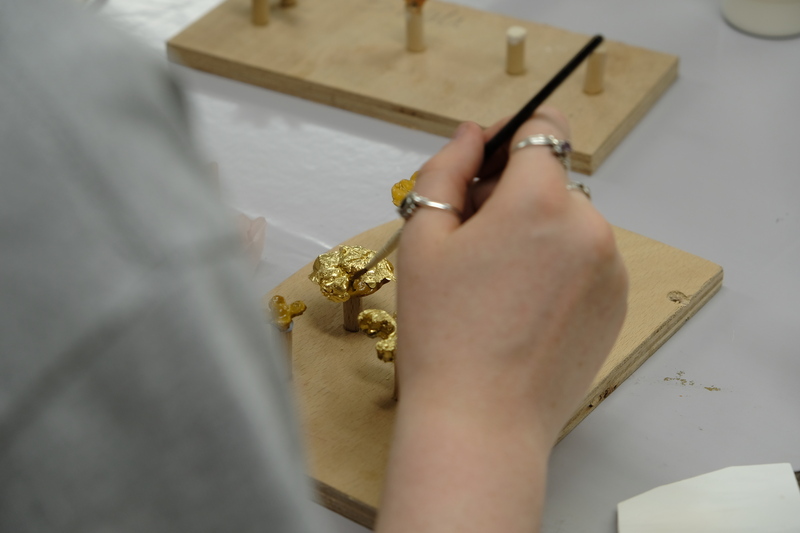 This year the students had a chance to fix their creations on to the Palace itself – helping to restore the Palace for years to come. Find out more about The Creative Dimension Trust here.